October 24, 2017, 1:05 p.m. Almost eight in ten of those over 55 believe they have suffered from symptoms of anxiety (38%) or depression (40%), new Age UK and YouGov Omnibus research shows. Of the 1707 UK Adults over the age of 55 that YouGov surveyed, a quarter (25%) say they think it is more difficult for older people to discuss mental health problems, compared to younger generations. Over seven in ten who believed this (71%) feel that one of the main reasons for this is because anxiety and depression weren’t recognised as a health condition when they were younger, but were seen as a weakness instead. Three quarters (75%) attribute these feelings to being taught to approach life with a “stiff upper lip” as they were growing up. The study found that a bereavement (36%), financial worries (27%) and ill health (24%) are the most common triggers for depression and anxiety in older people surveyed. More than a third (35%) didn’t know where to go to seek help and support when they were experiencing symptoms of mental illness. One in five (22%) of those over 55 (who also say they think older people find it harder to talk about mental health than younger people) think that talking about the situation would make things worse. 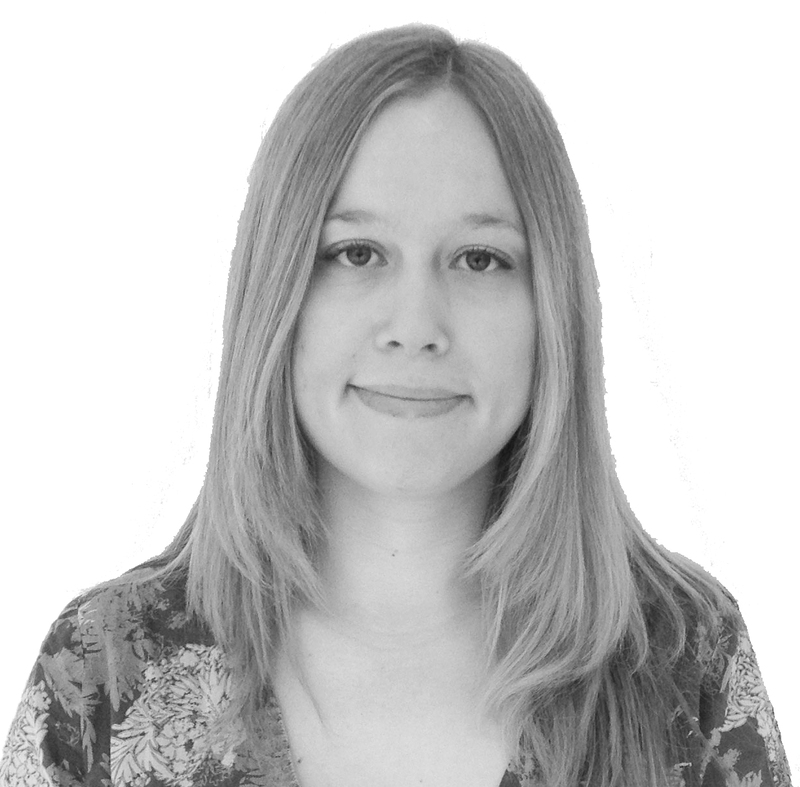 Over 55s, who have experienced symptoms of anxiety and/ or depression are far more likely to go to their GP for help (70%), than share their worries with friends (22%) and family (25%), although six in ten (60%) of those who thought it to be more difficult for older people to discuss mental health say that they feel the older generation are less likely to want to bother a GP about such things. Despite this, almost half (49%) of those over 55 say that they believe their symptoms have got better as they’ve aged, not worse. 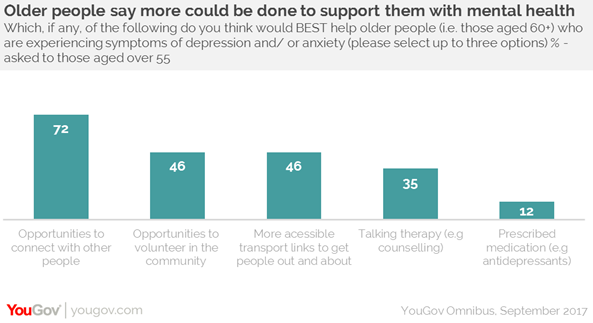 Seven in ten (72%) think the best way to help other older suffers of anxiety and/or depression is by giving them opportunities to connect with other people, giving them better local transport links (46%) and offering them volunteering opportunities (46%).